Airports are Scary | Normative Signs: The Poetry of "Ought"
Here’s a sign at Philadelphia International Airport, which seems to suggest that the world is a very scary place. 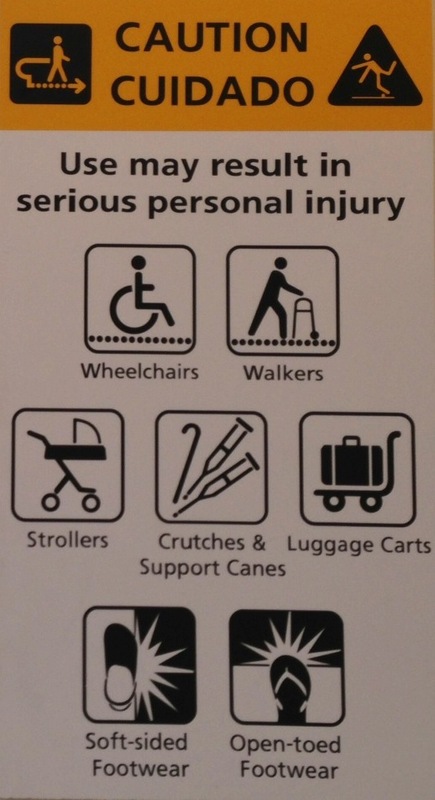 All sorts of things are apparently seriously dangerous, including wheelchairs, walkers, and (gasp!) open-toed footwear. 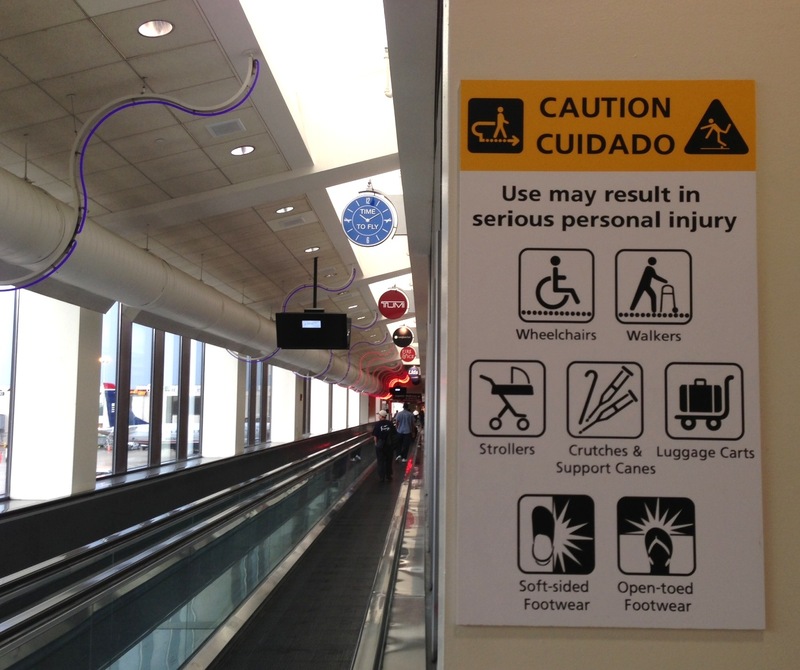 Of course, the dangers become more plausible once you see that the sign is located next to (but doesn’t actually refer to) a moving sidewalk. Thanks to Wayne Norman for yet another pic. Someone at the airport is a grinch, apparently. OOOOOooooooooo! So scary! The existence of some signs can only be explained by the scariness of corporate lawyers.